Comments on: What about you? Any tips or ideas on being more "green"? Often when I turn on the shower and wait for the water to heat up I have a large pail under the shower head to collect the water Then I use it for watering the plants or hand washing or scrubbing the floor - whatever chore that I plan on doing that needs water. The water is clean and isn't wasted. Plus saves money on the water bill. Great post! I bring reuseable bags to the grocery store and also keep one in my glove compartment for errands. Another easy thing I do is use small containers to bring my snacks to work instead of plastic bags. I have an adorable reuseable snack bag I purchased on Etsy to carry my silverware in instead of using plasticware. we've been talking about many of the 'greener' choices in several of my classes. my ecology professor really recommends putting in tankless water heaters if you have the opportunity because they are able to heat up the water 'fairly quickly' when you need it, but unlike the tanks they don't run all day long, only when a faucet is turned on. and the best news is that they are continually getting cheaper. Check out Betz White's blog here. She has a beautiful blog full of beautiful and fabulous inspiration. 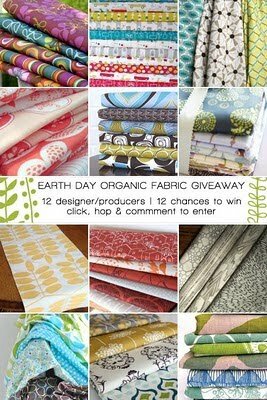 She is also offering a giveaway for some beautiful organic fabric and also sharing some links for some other fabulous fabric giveaways. Go here to leave a comment to be entered to win. 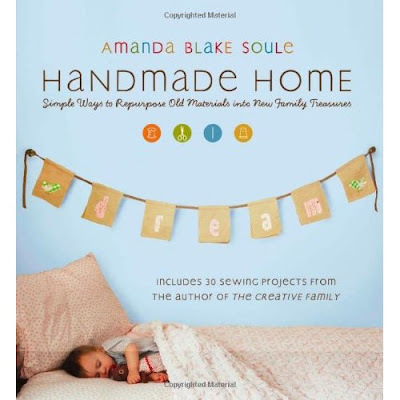 I checked out Handmade Home from the library once and it was pretty good from what I remember! 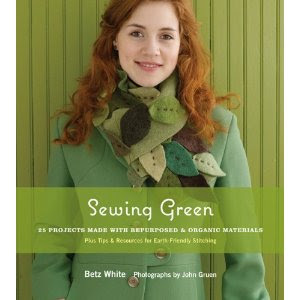 Sewing Green looks interesting! Hi! I just received my fabric package from Jozen at Lola's girl, thanks to the giveaway you hosted, and its awesome! Thank you so much for organizing this contest. I wrote about it on my blog! I love your blog and will be back! The green posts are great. I have both of those books and love both of them! I keep wanting to repurpose a towel into a bath mat by adding some pretty fabric strips, that's an idea from Handmade Home. Thanks for sharing this! Did you see the post on my blog about making your blog carbon neutral? I encourage you to check it out!